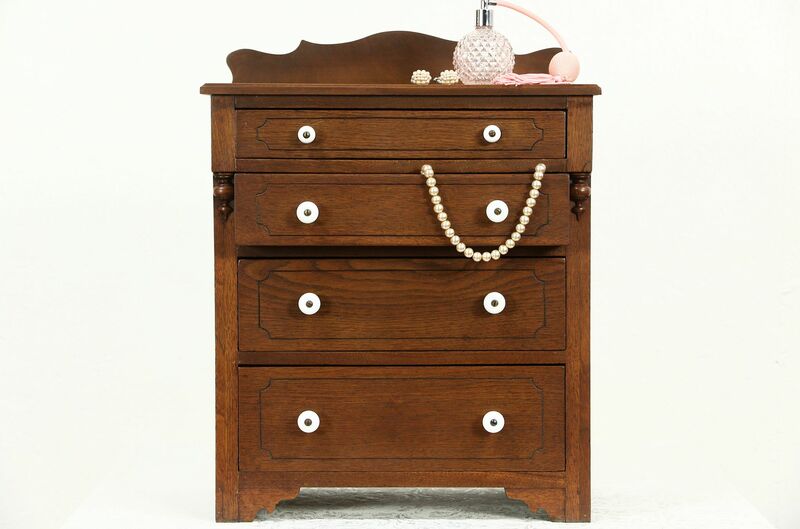 A miniature solid walnut dresser was hand crafted for a child about 1890, and could be a jewelry or collector's chest. The restored finish is in excellent condition on this American made antique tabletop furniture. Drawers have hand cut dovetail joints and chamfered bottoms. Size is 17" wide, 11" deep and 21 1/2" tall.